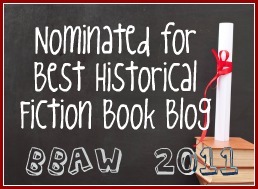 As authors of historical fiction, we are faced with a delightful dilemma. That dilemma stems from the very subtle difference in the unwritten contract we make with our readers. In writing fiction that bargain is easy: we promise only to attempt to entertain and engage our audience with the subject, the plot and the characters in our story. When writing ‘creative non-fiction,’ such as Truman Capote’s In Cold Blood, part of that contract says we will “tell the truth, the whole truth and nothing but the truth,” while again entertaining and engaging our reader. But when we write historical fiction, we walk a fine line between telling our readers what actually happened, while taking license to simply make things up. So we are faced with the choices of exactly how much we can make up and how much we should not. To my mind, one of the finest writers of historic fiction is Sharon Kay Penman, and her finest work for me is The Sunne In Splendour: A Novel of Richard III. Penman took a true-life character who was represented by Shakespeare as one of the greatest villains in history, and turned him into a brave, loyal and admirable human being who sacrifices all for the finest of motives and principles. “The soldiers have been wonderful, never a whimper. Always “Yes, Sir,” even with their last breath. It is the amazing courage of these boys that spurs us on. We can’t sell them short. They must always be our prime consideration. "This has made me a wiser man. It has imbued me with the realization that petty things won’t disturb me in the future, that there is an indescribable beauty in just living. From these structural supports I wrote a novel, filled with words that were never spoken, and action that occurred at some time and some place, but not exactly as told in the book. Virtually all the events did take place. But not to one person or one group. This is, in the end, fiction – historic or not. As an author, it is a wonderful gift to be able to put the story into a readable and gripping (though not necessarily happy) work of writing: The joys of writing historical fiction. The publisher has graciously offered up two copies of None But the Brave for give-away to two lucky Historical Tapestry readers. To enter just leave a comment with your email address. The give-away will end September 21, 2012. This give-away is United States only. I agree with you re. 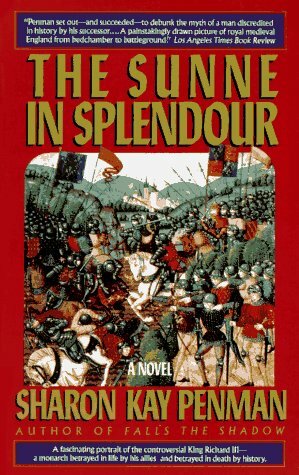 Sharon Kay Penman, a great and talented author; and Sunne in Splendour is an all-time favorite. None But the Brave sounds wonderful, and I would love to win a copy. Thanks for the giveaway. The book sounds really interesting. I read The Daughter of Time long ago and suffer when history books continue to push the Tudor version of the past! I am in United States, can I still enter this giveaway? I am very excited about "None but the Brave". I peeked on Amazon and saw in your Table of Contents that you cover D day and some concentration camps. My uncle died parachuting from a plane in the D day invasion and my father took part in the liberation of a camp and was in the European theatre. I would love to read this book. I have been reading about medicine in the Civil War and my friend has recently come out with a new one in that area.